While you are in the area, check out Kyle Farm, one of Patrick Malloy Communities newest neighborhoods. Going on right now is a great buyer incentive that is sure to please, but ACT FAST to take advantage of $20K “ANY WAY YOU WANT IT”, $5K toward Closing Cost w/Preferred Lender! Contact agent for full details and requirements. The amenities at Kyle Farm should be completed by the end of January 2019 with so much to offer adults and children alike. Great amenities like the Clubhouse, Junior Olympic pool, Kid’s Splash Pool or take up tennis, bocce ball, volley ball or just toss a frisbee on the event lawn. Or take full advantage of the beautiful fall like days on the walking trail to Lost Mountain Park. Now is the perfect time to purchase your new home before the amenities are completed and prices go up! There is more to the holidays then shopping until you drop. Take the time to enjoy some of these festivities and time well-spent with friends and family. Living in the Alpharetta area gives you easy access to the towns around this area. Check out some of these events! Sales are brisk at Kyle Farm in beautiful West Cobb. Going on right now is a great buyer incentive that is sure to please, but ACT FAST to take advantage of $20K “ANY WAY YOU WANT IT”, $5K toward Closing Cost w/Preferred Lender! Contact agent for full details and requirements. Canton is a great area to live, near metro Atlanta, yet in the shadows of Georgia mountains. Simply the best of both worlds. If you are looking for seasonal events and a taste of life in this area, check out these family friendly events going on this week in the Canton area. Light Up Downtown features all your favorite holiday characters in a very special main stage show that will light up the skies and light up your spirits with musical acts, fantastic fireworks and a ho, ho, ho-liday visit from the Man in Red. Downtown will be filled with holiday spirit, attractions, entertainment, sleigh rides, food and drink, singing, dancing, lights and more! Weather permitting, the Hall of Fame City Ice Rink will be open! Santa Claus is coming to Downtown! Join us on December 6th in downtown Canton for the stage show at 5:45 PM, with fireworks immediately following the stage show. You’re in for a night of surprises and fun for all ages! Best of all? This festive festival is FREE! Please visit the website for more information. First Friday is a monthly party in the downtown Canton Arts District in Canton, OH featuring themed music, performance and visual arts events and always a few surprises for adults and children. It is primarily a self-guided tour of local art galleries, studios, stores and restaurants. First Friday begins with a First Stop at the Canton Museum of Art @ 5:30, followed by the full-out event downtown from 6-10 p.m. Rain, snow or shine, First Friday happens every month – year ’round! Do not miss this thrilling opportunity to see New York City quality dance in Canton! New York City Ballet principal dancers Sterling Hyltin and Joseph Gordon in the leading roles of Sugar Plum Fairy and Cavalier. This annual performance is a family tradition and is not to be missed. The Palace Theatre makes for a gorgeous setting for this amazing series of shows with evening and matinee performances suitable for families. While you are in the area, check out the beautiful mountain views that you can see directly from Horizon at Laurel Canyon. Imagine your life examined in this peaceful community that is very convenient to Atlanta. Nestled at the foothills of the Blue Ridge Mountains, it offers golf, a clubhouse, pool, tennis and more. Spend the day meandering in the shops of downtown Canton or take a drive north to Ellijay, Jasper or Blue Ridge for a festival or getaway. Come and experience the good life in a Patrick Malloy Community home. 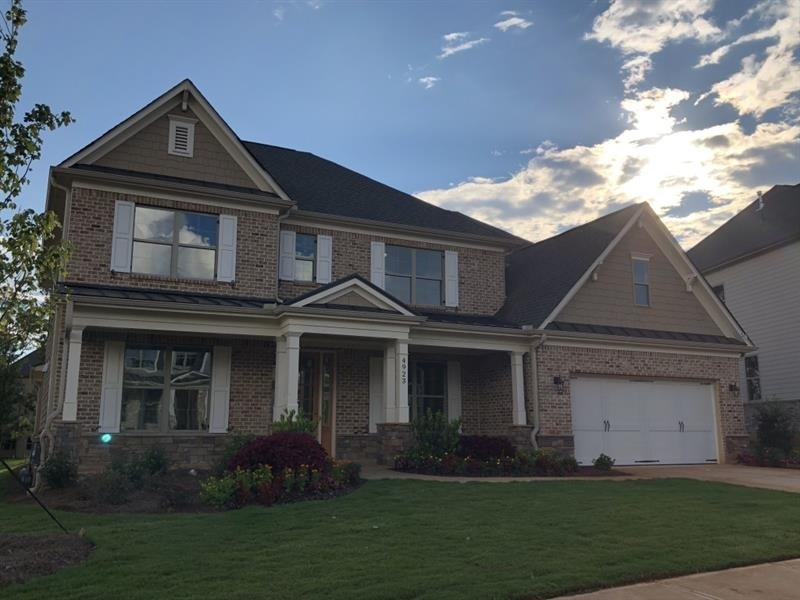 Horizon at Laurel Canyon is tucked away in the rolling hills of Cherokee County & intertwined by Golf Fairways & Hiking Trails! Looking for seasonal fun and events in the Alpharetta area? The very popular ice-skating rink at Avalon is opening on November 18th – Avalon on Ice: Avalon’s Rockefeller-inspired ice skating rink officially opens to the public on Nov. 18 during The Lighting of Avalon and will be open to revelers through January 21, 2019. Admission is $18 per adult or $14 per child under nine, including skates. A group rate for 10 or more skaters is also available, plus, a season pass is available for $175 per person. For more information on operating hours and specialty skating offers, visit experienceavalon.com. Tis the season to find great events in Canton. The annual lighting of the tree is on Black Friday, also known as the Friday after Thanksgiving. Gather the family on November 23, 2018 @ 5:30 pm – 8:00 pm and head down to Cannon Park in Downtown Canton. This annual Annual Christmas Tree Lighting sponsored by the American Cancer Society. 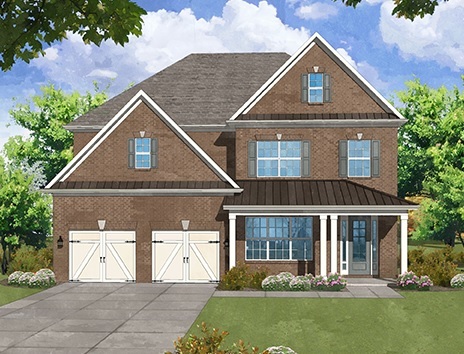 Homesite 8 | $587,025 |4 BR, 3 full & 1 half BA -Cul-de-sac lot for the York E Plan. Fam Rm w/stone to ceiling fireplace, with 360 Mountain Views . A “moving wall of glass” opens to lge screened back porch & uncovered deck facing golf course at Fairway 16. A flex rm ideal for priv study. Master suite w/sitting area facing golf. Upstairs loft & 3 bdrm & 2 baths. Many upgrades, such as hardwood floors in master bedroom have been added.